How Far is Annai Arjuna? Annai Builders presents Annai Arjuna, an exclusive residential project that allows you to enjoy memorable moment with your loved ones at Coimbatore. The project located amidst ideal residential destination at a very peaceful location. Here’s your dream home with all the modern amenities. The project also has ample ventilation that establishes fresh and healthy living for you and your family. With state of the art interiors and strong exteriors the project stands out from others. Discover and experience a new life with your loved ones at Annai Arjuna. 3. solid block work in CM 1:5. 4. Ceiling Plastering - 12mm thick in CM 1:3. 1. Ceiling - OBD for ceiling inside flat and corridor, cement paint for ceiling in other areas. 2. Internal Walls - Putty with emulsion paint. 1. 600 X 600 mm vitrified tile flooring for passages / corridors. 2. Staircase - 20mm kotah stone. 3. Staircase railing made of MS pipe of verticals and horizontals. 1. 1-BHK - 300 watts per apartment. 2. 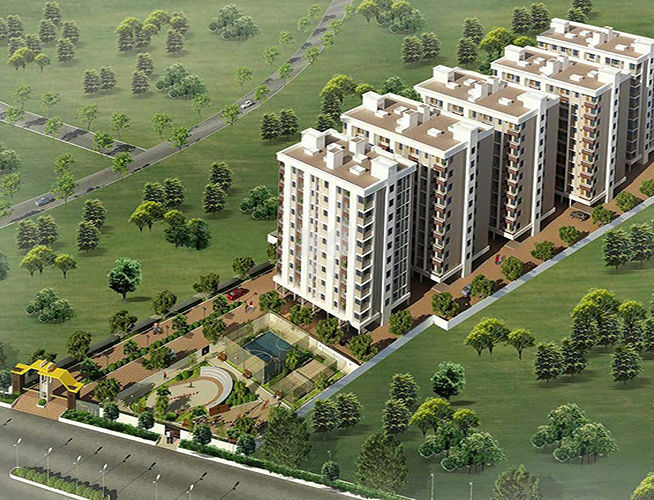 2-BHK & 3-BHK - 500 watts per apartment. 3. Lifts, STP, Conference and Utility Block Area - 100%. No. 5. Ceramic tile wall dadoing of 2'0" height above kitchen counter. 6. 16mm thick granite slab with half nosing for kitchen counter top. 7. Sink - Stainless steel sink (single bowl with single drain board). No. 5. White color rectangular wall mounted wash basin. No. 6. TV point - 1 No Master Bedroom Toilet (Bed-I): 1. 300 X 300mm ceramic tiles for flooring. No. 8. 9" dia exhaust hole provision above ventilator. No. 15. Overhead shower with shower arm - 1 No Third Bedroom (Bed-III): 1. Wall light points (Two way control) - 2 Nos. 2. 6A point - 2 Nos. 3. Fan point - 1 No Third Bedroom Toilet (Bed-III): 1. 300 X 300mm ceramic tiles for flooring. 2. 200 X 300mm ceramic wall tiles up to 7" height.